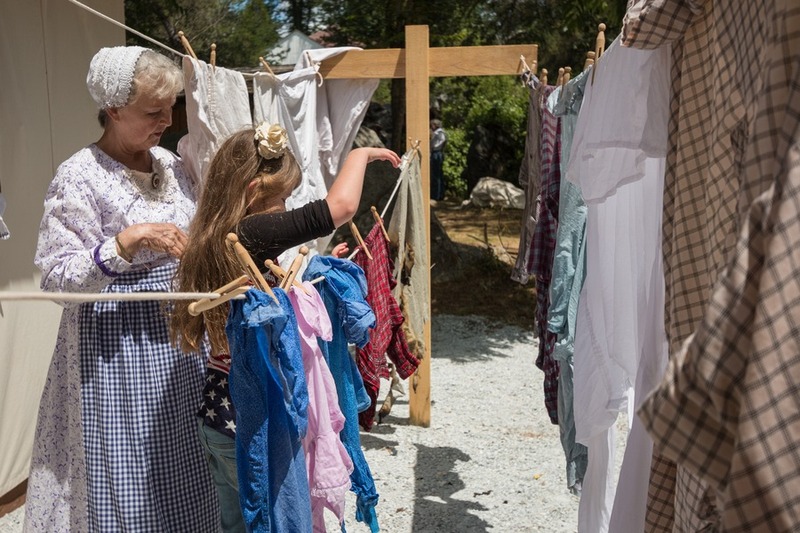 Long dresses, petticoats, simpler times and, of course, moonshine. When we were invited by Visit California to Columbia State Historic Park I didn’t know the invitation included a trip in a time machine. One that would transport our family back to 1852. But before we get to the past, let’s talk about the present. Columbia State Historic Park is located 3 miles north of Sonora, off Highway 49. 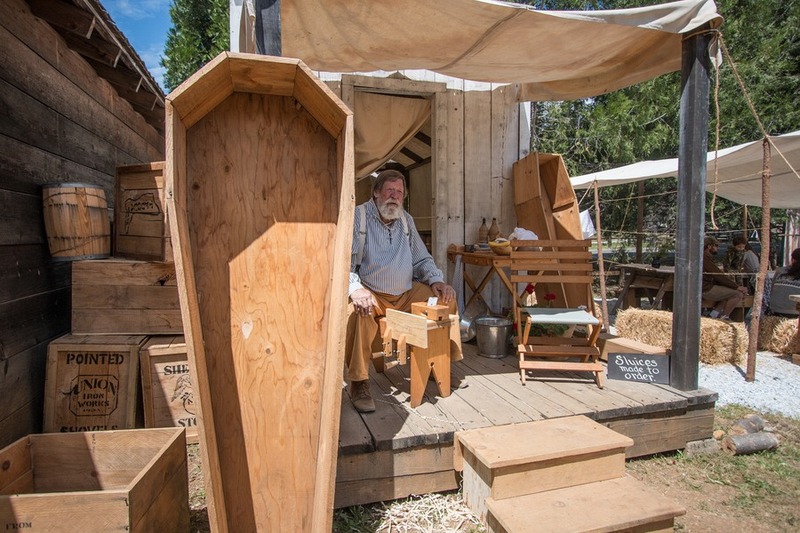 The town is set up just like it’s original Gold Rush-era incarnation, complete with shops, restaurants and hotels preserved in 1850s style. 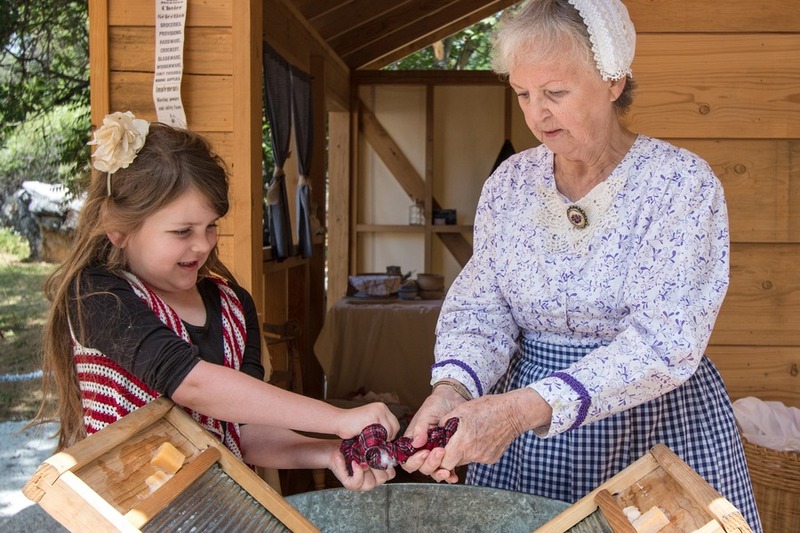 You can walk down the cobblestone street and experience a bygone era as folks in period dress try to sell you anything from horseshoes to candy. An experience most kids will never forget. We stumbled upon a sweet little surprise. 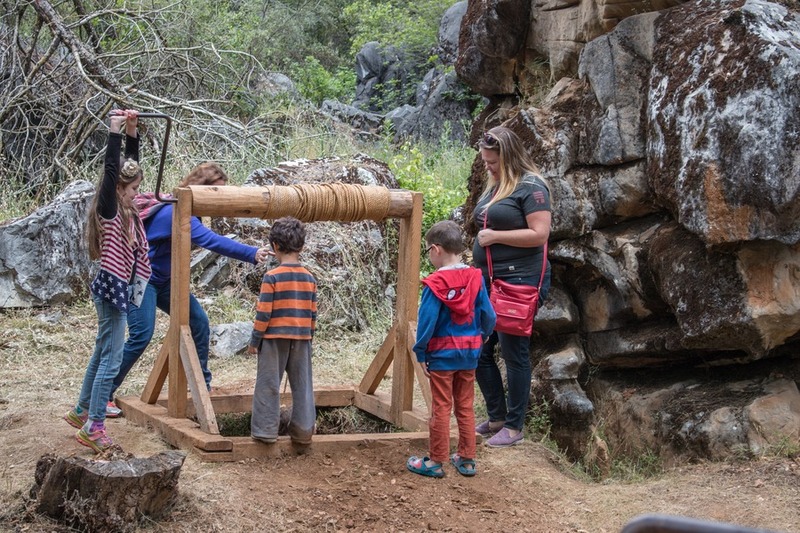 Strolling past elated kids, squealing with joy at finding real gold flakes in the gold panning station, we reached the bottom of the hill. 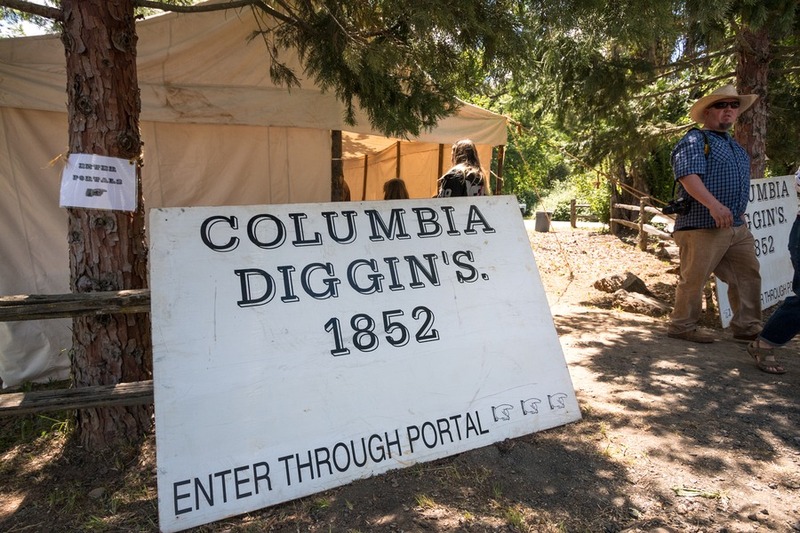 Off to the side, a non-descript white tent sat with an unassuming white board leaning against a wooden fence – “Columbia Diggins 1852”. Curiosity got the better of us and we felt the urge to investigate. Stepping inside, a bright flash shone above, the tent spun and whirled, and lickety-split we were thrown back to 1852. Well, not quite, but you get the idea. Inside two older ladies sat at a long table with beaming warm smiles. “Welcome to Columbia Diggins,” they giggled like 12-year-old schoolgirls. Their white lacy period dresses stirring briefly as they adjusted their sitting position, baited with anticipation. An excited inhale. 2 gentlemen nearby, also in period costume, spotting this opportunity, joined the table. The group stumbled over their words, one on top of the other in an enthusiastic effort to tell us where this time machine just took us. 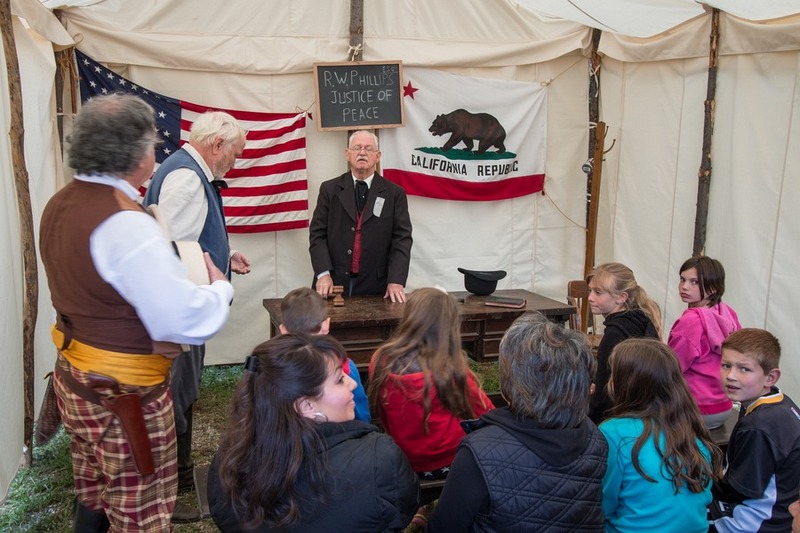 Every year Columbia State Historic Park present their 4-day living history event, Columbia Diggins 1852. 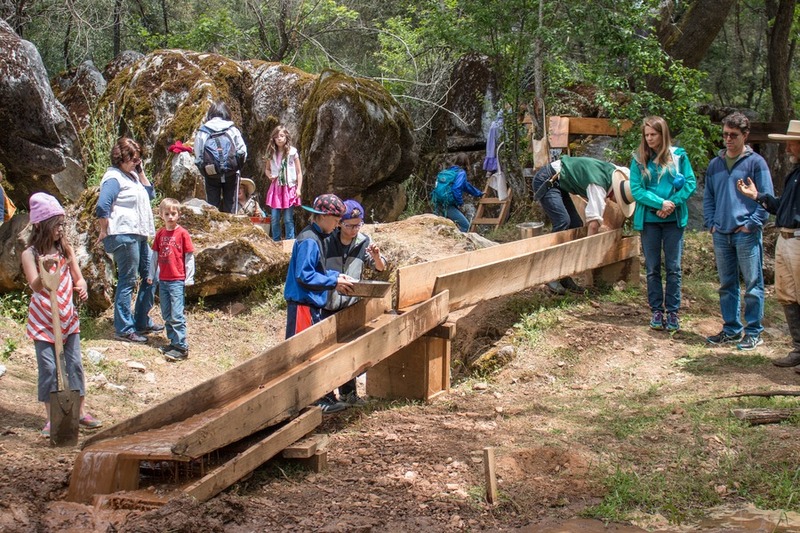 A real life Gold Rush encampment with over 150 volunteers jumping on board to help recreate a fascinating slice of history. Entrance was $7 per adult and $2 per child (12 and under). You could also purchase “eagles”, which were a $1 each. 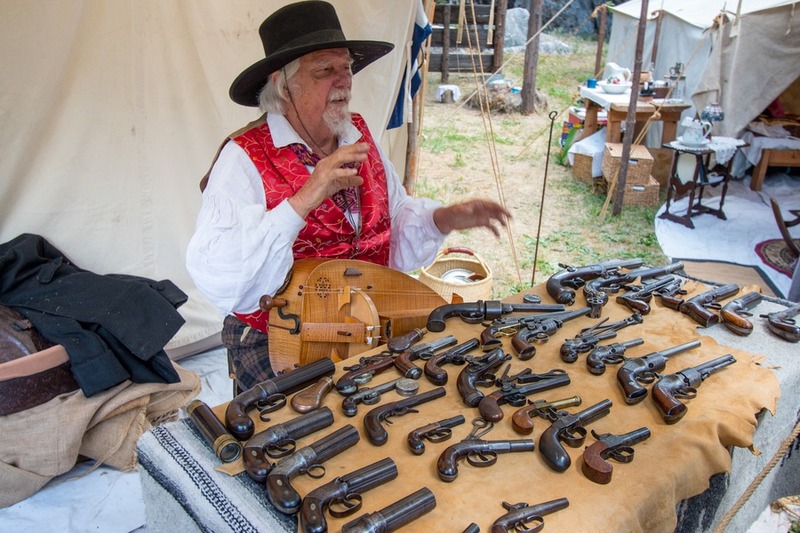 Everything in the encampment is purchased with eagles. “Do you know what this is?” asked a beared shopkeeper as we entered his store. 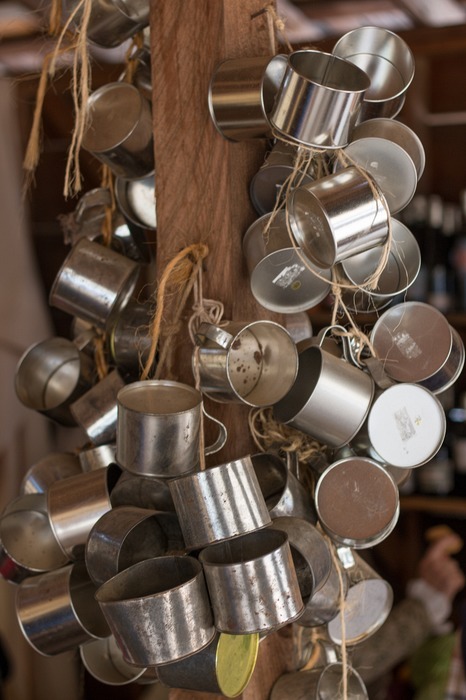 Metal cups lined a wooden post. Fresh vegetables for sale beside him. “Sure, we’ve stepped back to 1852,” I replied mildly. “This thing is huge! People come from all over the state for this. I’m from San Diego.” Another gentleman interjected, explaining he drove in from Nevada. Whoa! So this was more than just a small town gig. We’d stumbled on a gold mine, literally and figuratively. 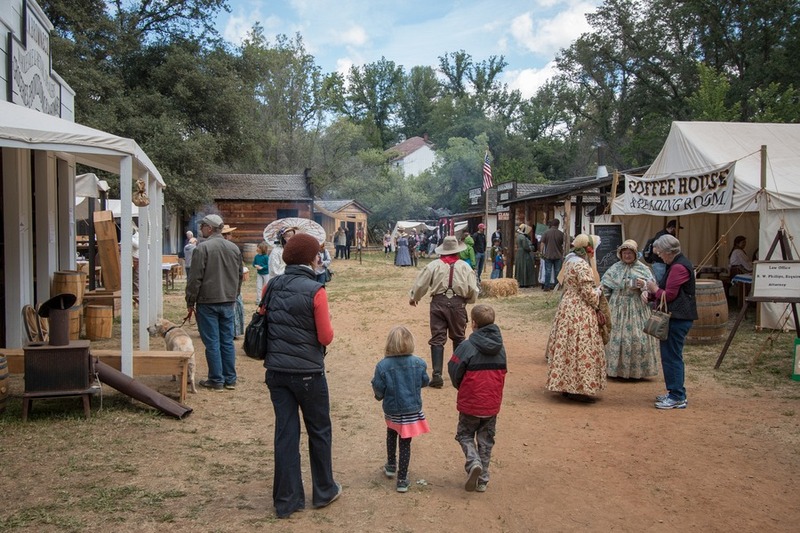 A 1852 tent town struggling to gain its own identity during the great California Gold Rush. 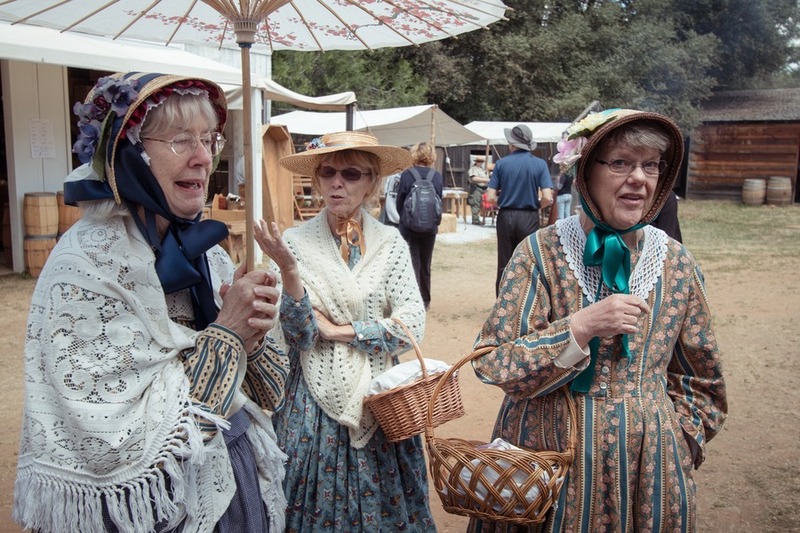 The volunteers dress and act as if this camp is real life and I rarely found anyone out of character as we wandered along the muddy encampment paths. This deal is as real as it gets. 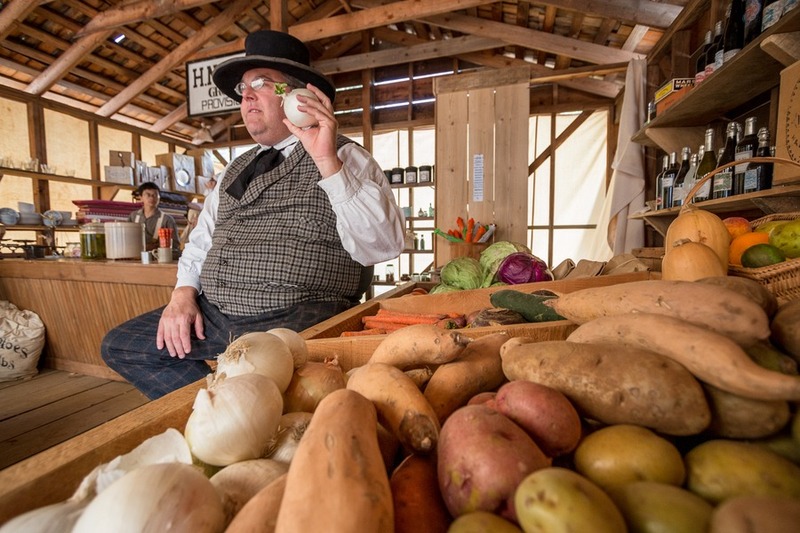 A significant amount of research is involved in re-creating the characterisations, architecture, clothing, food and entertainment of early 1850's Columbia. And the many volunteers take pride in providing an accurate representation of that era. 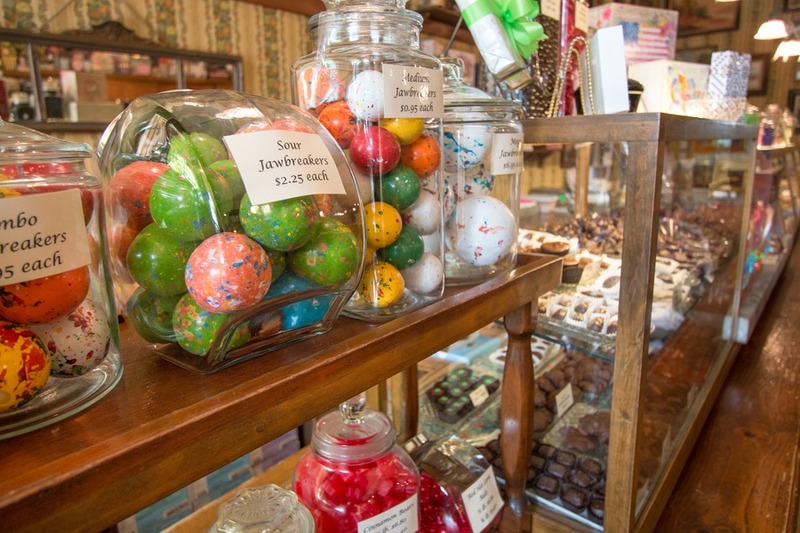 You will find merchants, artisans, entertainers and, of course, gold miners. 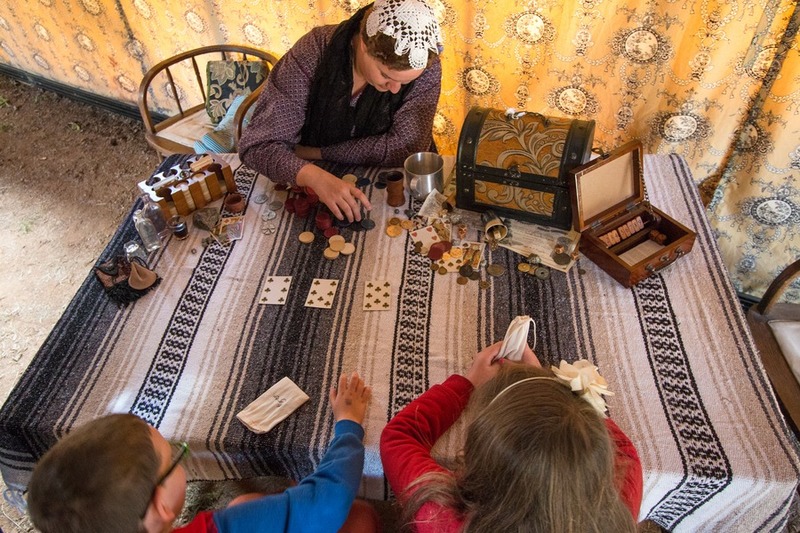 Basically you get to examine the lifestyles of the families who settled in the area. Mia loved vigorously scrubbing laundry on the old washboards. It looked like a scene right out of my favourite movie, “Far and Away”. If you don’t know what I mean, watch this. The kids also enjoyed attending the 1800’s primary school. Considering their lack of traditional classroom education (to this point), they both found the experience both entertaining and taxing. We tried several foods made over camp fires, watched how they cared for gardens and livestock, made crafts, and let the children play. 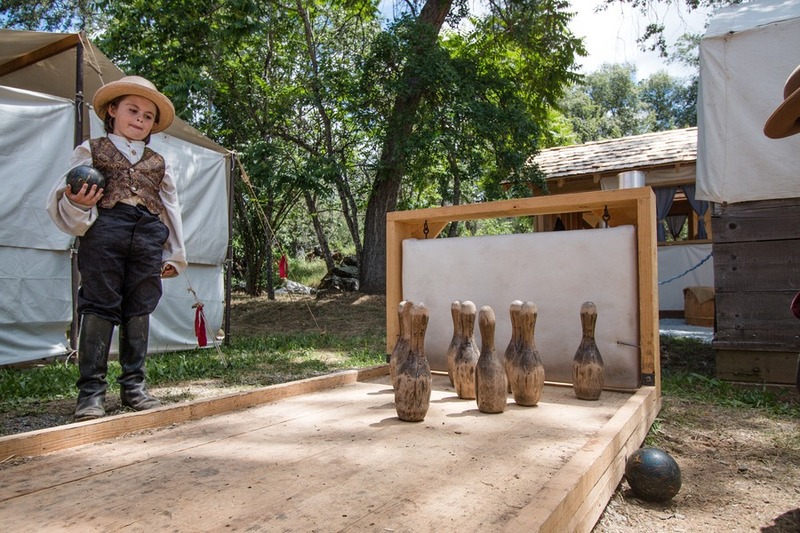 A wooden bowling alley was a firm highlight, while us adults tried our hand at a little ol’ fashioned gambling. 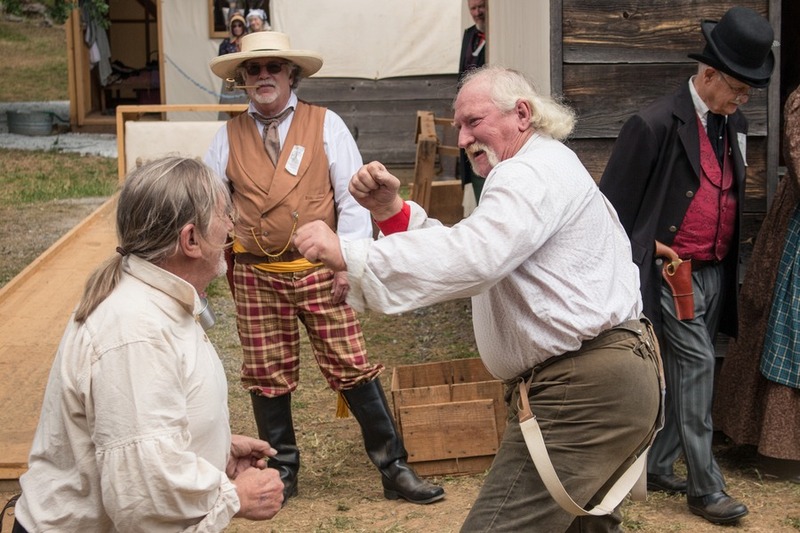 Towards the end of the day we witnessed an orchestrated street brawl between two men, that did so in the hopes of scamming spectators out of their gambling money. So much unexpected entertainment around every corner. We listened to a political debate at the council hall, along with a short legal trial. And the beer hall featured live music and a bar. 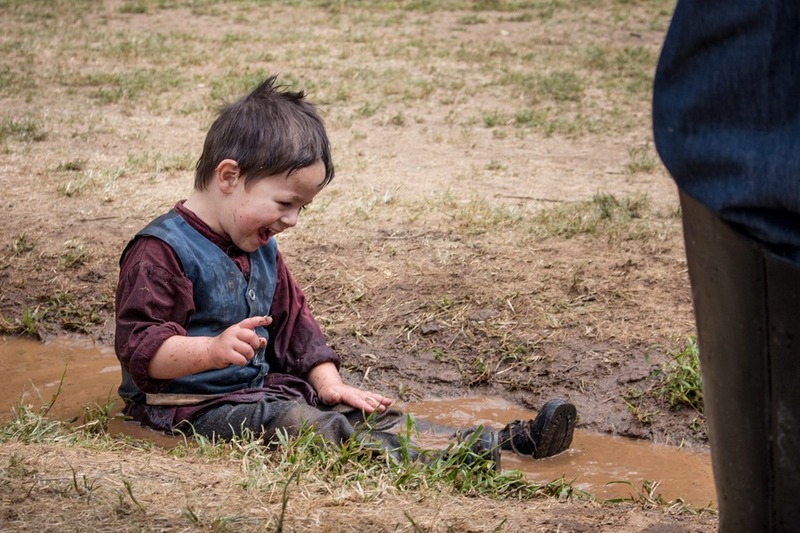 We had so much fun that we left for lunch and returned again so the kids could dig for gold and roll in the mud. Impeccable timing is of the essence. I wish we could say we carefully orchestrated it, but it was more like spectacular luck that we stumbled across this 4-day annual event. 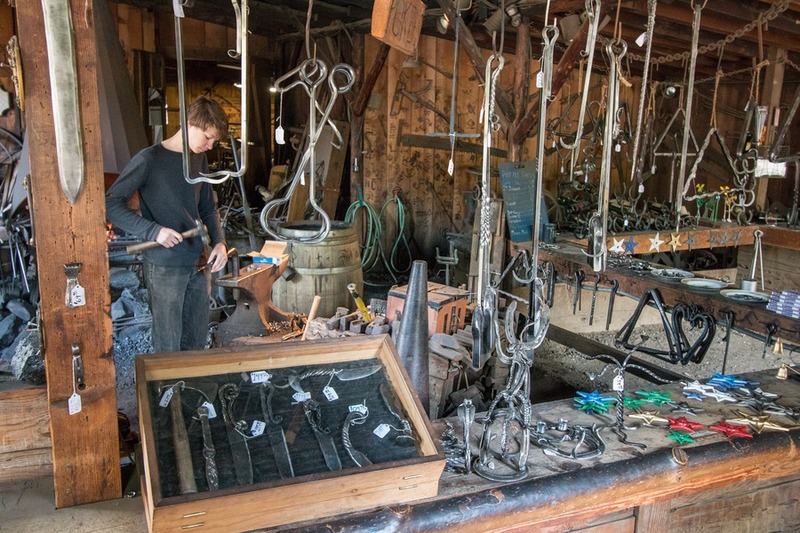 It’s for good reasons that Columbia Diggins attracts history enthusiasts from all over the US. 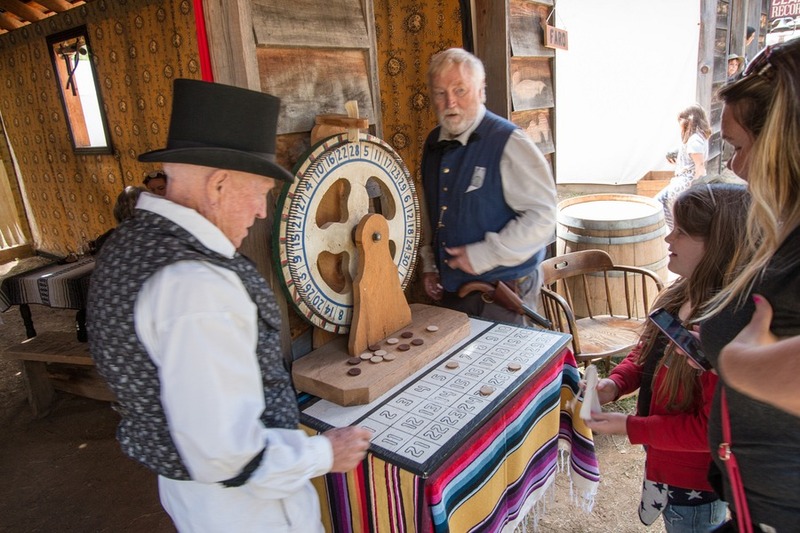 Our whole family enjoyed our experience travelling to 1852 in a time machine. But as much fun as it was to witness this pivotal time in history, I was relieved to return back to 2016. Those ladies looked jolly hot and blushed in those neck-to-ankle dresses! Oh, and I don’t know if I could live in a world without Facebook. Try staying at delightfully isolated The Lazy Z during your visit. It's incredible! Or perhaps the Historic Cary House Hotel is more your style.